Construction: approx. 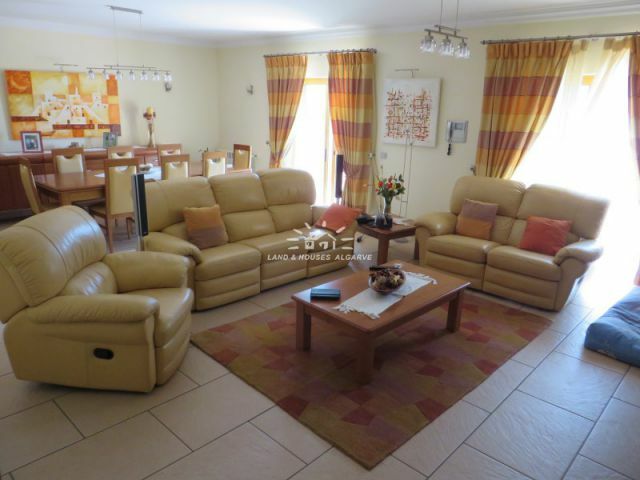 288 m2 (excl. garage); built in 2006. 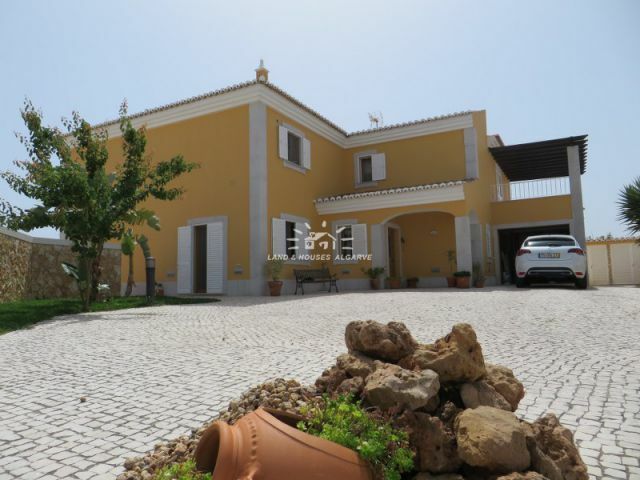 Description: This recently finished, beautiful four bedroom villa with study is set on an easy to maintain plot in a well-established residential area on the outskirts of Tavira, just 1.5 km from the city centre and 2 km from the prestigious Benamor golf course near Cabanas de Tavira. 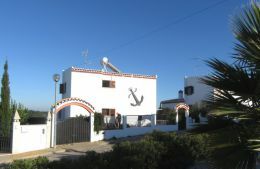 The access to the property is via electric gates, leading to a large parking area in front of the villa. The entrance hall with wooden ceiling and built in spotlights lead to a spacious and bright living room with dining area and patio doors opening out onto a South facing terrace overlooking the 10 m x 5m swimming pool. 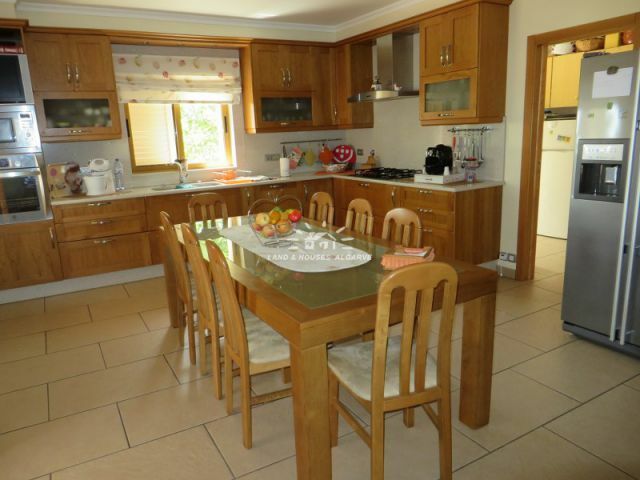 Adjacent to the living room there is a fully fitted and equipped modern kitchen with lots of space and a utility room. 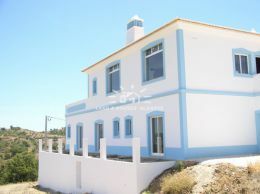 The study (could be used as additional bedroom) in addition to a family bathroom complete the ground floor. From the hallway a staircase leads to the landing on the first floor, which is composed of four bedrooms each with fitted wardrobes and en-suite bathroom. The garage with automatic garage door has ample space for a car and storage. This recently built property is fully fenced and benefits further from its lovely pool area, surrounded by a beautiful landscaped garden with a collection of mature trees. 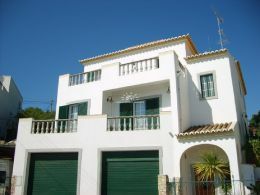 This modern villa benefits from its proximity of Tavira, double glazing, security shutters, central heating (oil fired), solar panels (for hot water), natural stone door and window sills, pre-installation for: air-conditioning, alarm and a central vacuum cleaning system. Mains electricity, water and drainage. 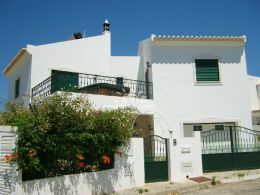 Distances: Faro: 28 km; Spain: 32 km; Tavira: 1.5 km; Golf: 2 km; Beach: 3 km. DETAILS: * 4 bedrooms * 4 bathrooms * study * electric gates * large parking area * terrace * swimming pool * fitted wardrobes * automatic garage door * fully fenced * close to town * double glazing * security shutters * central heating * solar panels * natural stone door and window sills * pre-installation for: air-conditioning, alarm and central vacuum cleaning system * Energy certificate class C.